Discussion in 'Ride Reports - Epic Rides' started by silverspurs, Feb 7, 2019. We had a lesson yesterday on how goings on in one country can affect the well being in another. After we crossed the Canadian border and headed North toward High River AB. We noticed a column of smoke rising far to the South West and drifting to the North East. 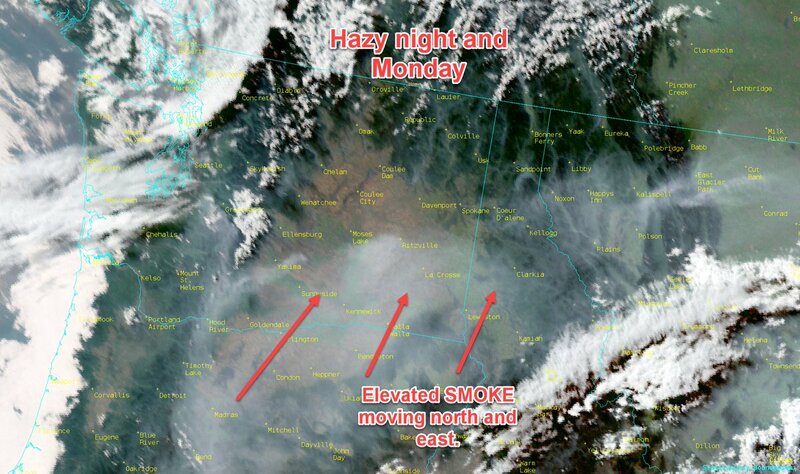 The smoke came from a forest fire down in the US in the Yaak River Country of Montana... The column of smoke rose several thousand feet into the air and then drifted into Southern Alberta. A few miles North of the Border, the column settled to the ground and we were riding through thick smoke and falling ash for a couple of hours... at times visibility was poor and the sun was mostly blocked. I usually mind my own business and don't dwell much on international relations... but most of Southern Alberta was affected by what was going on down south. Got me to contemplating how air, weather, rivers, lakes, animals and other things cross invisible borders and are shared by neighbors... and why it's important for me to be a good one. As it turned, out. Forest fires would be a huge factor for the rest of our trip, especially in British Columbia... the entire Province seemed to be on fire. More on that later. The next morning, things had cleared up. It looked to be a beautiful day. 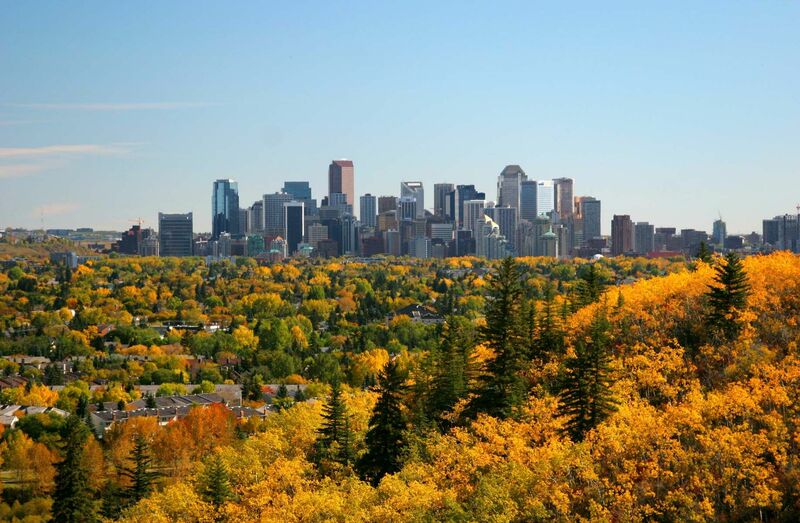 The Alberta Prairie is a place of grand vistas, blue skies and green rolling hills. It beckons you to go for a ride through it. After a good breakfast, we headed North. One of our Harley pards left his chaps at home and wanted to go into Calgary to get some replacements... ummm, NOPE! I'm not going in there!... His mind was set, so while he headed into the bowels of the big city to find chaps, the rest of us were studing maps for a way to avoid it. We planned to meet up with him somewhere West of Calgary later in the morning before Banff. The route we chose took us about 20 miles West of Calgary, but it wasn't far enough away. We were stuck in traffic with tons of construction going on. We eventually got separated from each other and ended up finding our own ways out of the mess. We didn't get all the group back together until noon at Lake Louise! I'm sure Calgary is a nice town, I've heard they have a great Rodeo... but I never want to go there again... to damn many people!! I finally got free of the Calgary mess by lane splitting my way through miles of traffic (probably illegal in Canada, didn't know, didn't care) until I finally got to Canada Hiway 1 and headed West. The traffic was still heavy, but at least it was moving! Even though I was concerned about how my pards were getting along, I decided that since I'd been to Canmore and Banff before, I would head for Lake Louise. I planned to find a good place to kick back, people watch the mass of humanity that comes there and chill, until we could re-group. It is interesting to observe the masses of people who stroll by on the lakefront boardwalk at Lake Louise... the various languages being spoken, tour group dynamics etc... A great place to sit back and observe human behavior, all while enjoying a grand view. After about an hour at the lake, our party had re-grouped and it was lunch time. We headed over to the Mountain Restaurant for lunch. 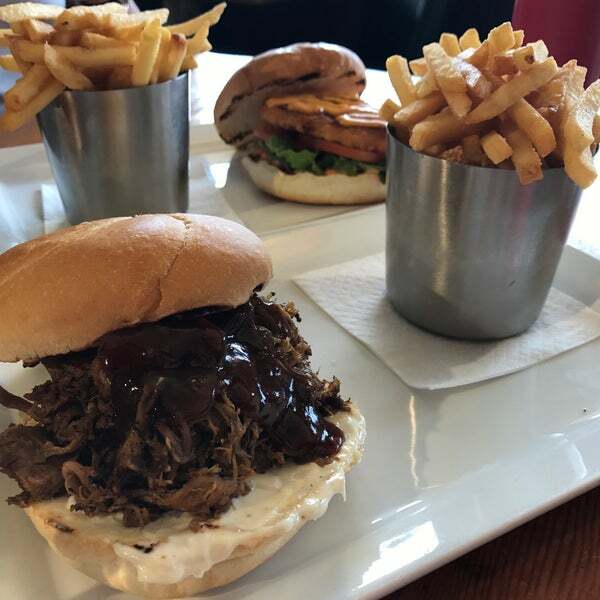 I had the barbeque sandwich... yum! After lunch, we still had many miles to go, so we high tailed it North up the Bow River Valley and the Ice Fields Parkway. This is one of the most spectacular places on Earth. I know that Global Warming has significantly reduced the size of the ice fields and glaciers lately... but they are still awesome! One of the best day-rides there is! As we rode North, the weather started to move in with some light rain, but nothing heavy. When we got to Jasper, our Harley Pards headed West to McBride BC. Gaylon and I bid them safe travels and headed East to Hinton AB. We knew this was going to be a long day, so we booked a Hotel room in Hinton and bought dinner. Tomorrow is another long day and I was glad for the bed and a good nights sleep. drumdog, wilfred, Rapturee2 and 18 others like this. 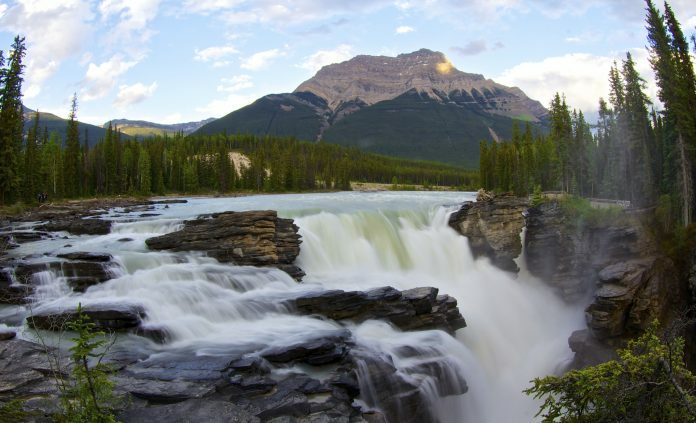 After riding the Icefields Parkway, you are correct, may be the most beautiful ride in North America. Stunning in every mile. silverspurs and CharlestonADV like this. Ok, let's be honest. not every day of a 30 day, 8000 mile trip is going to be full of spectacular scenery. After the Banff, Lake Louise and Ice Fields Parkway yesterday, we knew we were not going be repeating that. So other than taking a bit of video on the bike, I didn't take a picture all day. But don't get me wrong!... Hiway 40 is a great ride and I would do it again! It's just not jaw dropping stuff. Hinton sits on Hiway 16 just East of the Canadian Rockies. Hiway 40 goes North From Hinton, through Grand Cache, and on up to Grand Prairie where it joins Hiway 43. 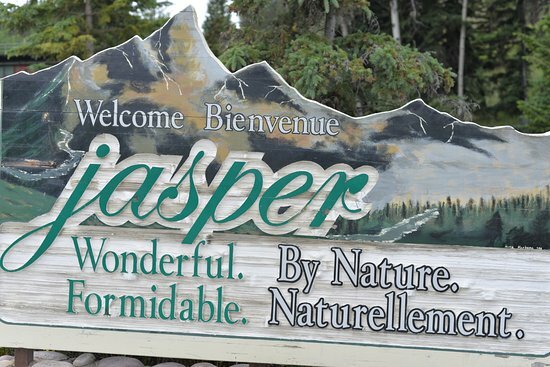 Most would consider 43 to be the Main route to access the Alcan as it comes up from Edmonton, joins Hiway 2 and goes up to Dawson Creek where it joins Hiway 97 and the "Alaskan Hiway" officially begins. We chose Hiway 40 because it is more remote and has less traffic. One thing I found kind of humorous today was all the giant Caribou signs along Hiway 40... They seem to be everywhere, yet we didn't see any hint of Caribou, no wild life at all. A few miles before we got to Grande Cache, we noticed what appeared to be bunches of joggers off to the side of the road... as we got closer, we saw more and more of these folks and were wondering what the heck was going on. Here we were in the middle of nowhere... there really isn't much of anything between Hinton and Grande Cache, so we were a little surprised by the hundreds of runners we were seeing... turns out they were having a major Ultra Marathon race event in Grande Cache that weekend... which made what is normally a sleepy little burg... pretty crowded! Grand Prairie to Dawson Creek is (as you would expect), Canadian Prairie, with farms and ranches among mixed timber and grass lands. The rest of the day was rolling, timbered country and uneventful until we got to the Town of Taylor on the Peace River. We had reserved a campsite there at a city park that looked promising. As we pulled in, we could tell they were having a major event there. Lots of RV's and those tents you see at farmers markets and lot's of people milling around. We found the office and discovered they had given our campsite away! Crap! they "lost" our reservation... So we decided to push on to Fort St John where we got a cheap room in a run down motel... but at least we had a place to sleep... All in all, it was a nice ride today, just not that memorable. Hey, not every day is epic!... 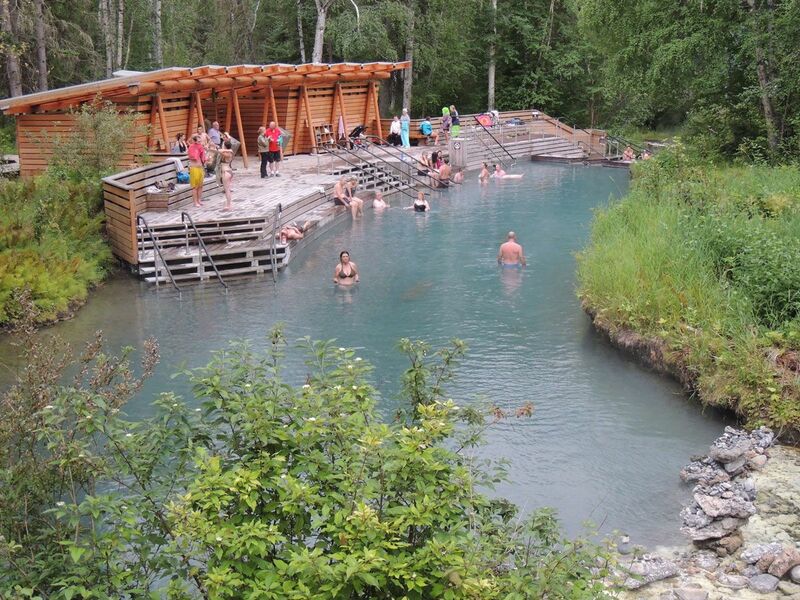 Tomorrow we plan to camp and soak at Liard Hot Springs!... looking forward to that! drumdog, HBaloha, Rapturee2 and 16 others like this. save your reservations on your phone, it May help we found this by accident to the point of getting a longer visa in Thailand since we had reservations months out. 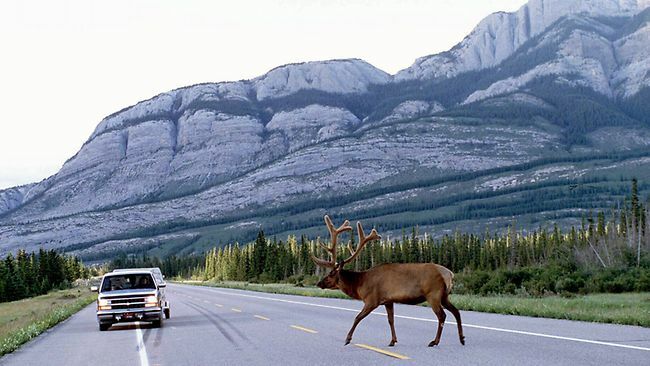 When we lived in Grande Prairie my wife traveled hwy 40 quite often and would describe it as a "zoo". them to cross the highway safely. RedDogAlberta and silverspurs like this. Nice report, looking forward to the rest now that you are north of me ! there is actually something I DON'T like about Canada!. but I'm gonna comment respectfully. I understand what you mean, mainly because I live right on the US/Canada border and 95% of my trips that are more than a day are in the USA. However its a lot more than the fact of more places with fountain drinks, actually there is just a lot more places "wherever" you travel. If there is a crossroads in the middle of nowhere, there is likely a gas station/C-store there. I like the fountain places (Usually McD's) to refill my water bottles. I've got a similar complaint about the USA dealing with a silly little thing that you as an American would not even think of..
And it happens ever time I have to do laundry, or get stuck ion a pay shower, or even want to use a vending machine. You guys have been unable to transition to a "one Dollar" coin. Bob, your in a different country. Have a great trip and enjoy the differences you experience in Canada. DoubleM, EMFL, Delta Sierra and 4 others like this. I like Super Tenere to Alaska R.R. dirtdoug, Gordon and silverspurs like this. We were up early today as we had lot's of miles to cover. 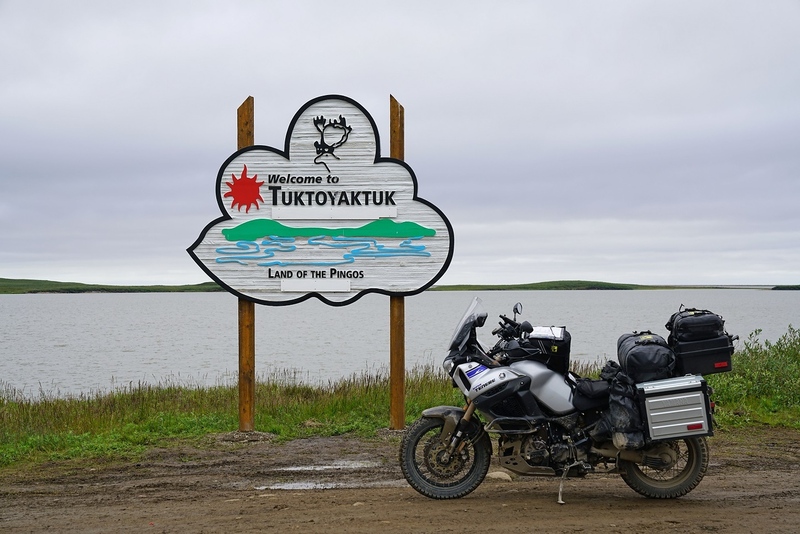 One thing that is always on your mind when riding the Alcan, is the possibility of being held up by road construction. I've heard and read many reports of bad conditions, lots of construction and long delays. For us, the Alcan from Dawson Creek to Whitehorse, was in unexpectedly good condition. Other than a couple of minor delays where crews were sealing expansion cracks and other maintenance, we had no major construction or delays. The oldest non-native settlement in British Columbia, Fort St. John sits on a plateau north of the Peace River, amongst some of the finest farmland in the province. The town’s history dates back to Alexander Mackenzie’s arrival in 1793. Construction of the Rocky Mountain Fort by the North West Company commenced the following year, on the first of six sites chosen for the town of Fort St. John. 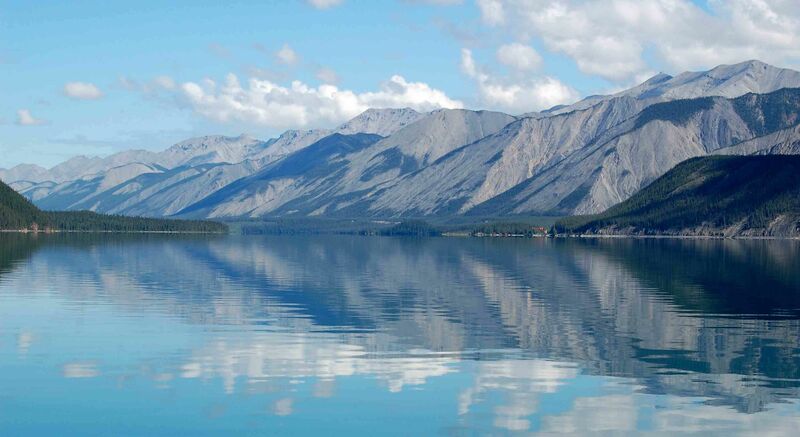 Fur traders, explorers and homesteaders followed, settling into this vast, remote and rugged region. The company’s dominance of the region’s fur trade ended with its amalgamation with the Hudson’s Bay Company in 1821. Gold was discovered along the banks of the Peace River in 1861. 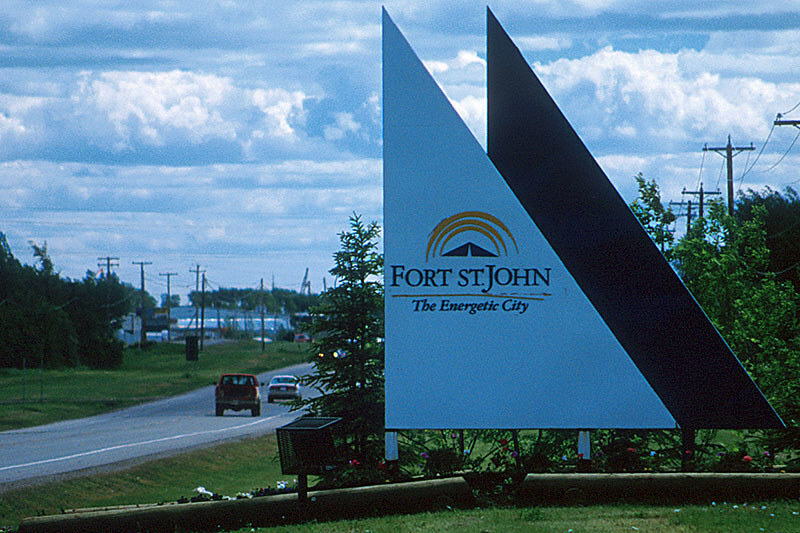 Incorporated as a city in 1975, Fort St. John is now the largest city on the Alaska Highway, and in Northeastern BC, and is the transportation and service hub for the area. Known as the Energy Capital of BC, Fort St. John is a busy, modern town that popped up with the expansion of the oil and gas industries in this unique prairie region, the only one in British Columbia. Grain and oilseed are important industries in this the most northerly agricultural region in Canada. Forestry and hydroelectric power add to this resource-rich community. The first half of our riding day North of Fort St John, consisted of timbered rolling hills Fun, but nothing special as far as scenery. Up until now on our trip, the only time we had to be careful with fuel was on Hiway 40 between Hinton and Grand Prairie. After Fort St John, fuel and population becomes scarce on the Alcan and you have to pay close attention to possible fuel stops. Gaylon has a range of about 220 miles on his GS, I have a range of about 240 miles on the Tenere... We each carried a small amount of extra fuel for emergencies, but we determined to keep our distance between fill-ups at around 180 miles as a safety margin. It is about 240 miles between Fort St John and Fort Nelson. 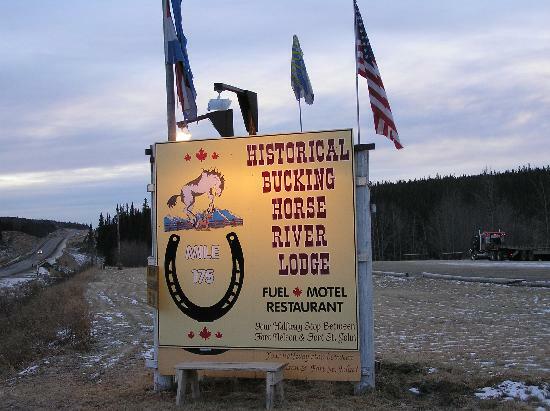 Too far on one tank of fuel for comfort, so we filled up at the Bucking Horse River Lodge (about 120 miles). Next fuel was in Fort Nelson, no problem... The fuel tank at Bucking Horse is a portable above ground affair with a card reader. It took us a few minutes to figure the system out, but we finally got our fuel. Next stop is Fort Nelson. A few years ago, they unified all the little bergs in this area of Northern BC into one Municipality that is headquartered here in Fort Nelson. Makes sense, and I'm sure saves a lot of money... Lots of Oil and gas industry to the North East of Fort Nelson. At Fort Nelson, the Alcan which had been headed NNW, turns to the West and enters the Northern Canadian Rockies. The scenery improves and it becomes a spectacular ride. In addition, Muncho Lake is on the route. It is beautiful and would be worth a trip here to see it on it's on merits. I have no idea what is going on at Double G... I probably don't wanna know. It was a Sunday, so maybe it's a religious thing?? Anyway, we headed up the road not knowing if we were going to find fuel or not. 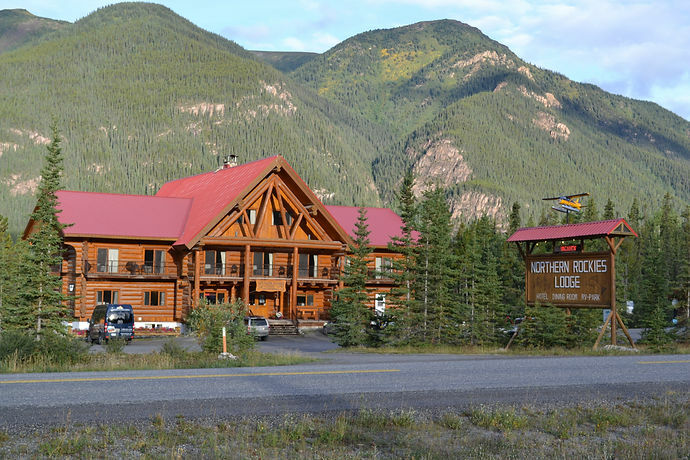 Thankfully, 6 miles farther on, we came upon the Northern Rockies Lodge. 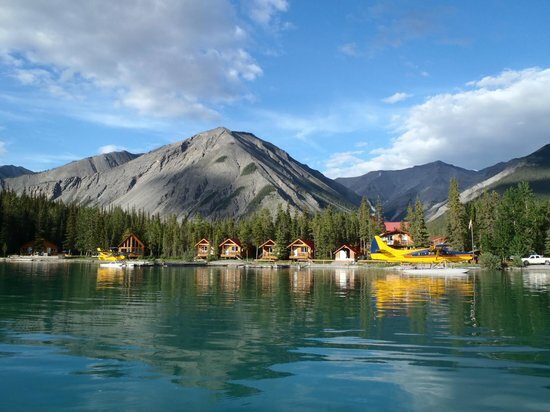 It is located on Muncho Lake and is a beautiful lodge that does a booming business flying fisherman and hunters into the surrounding back country. 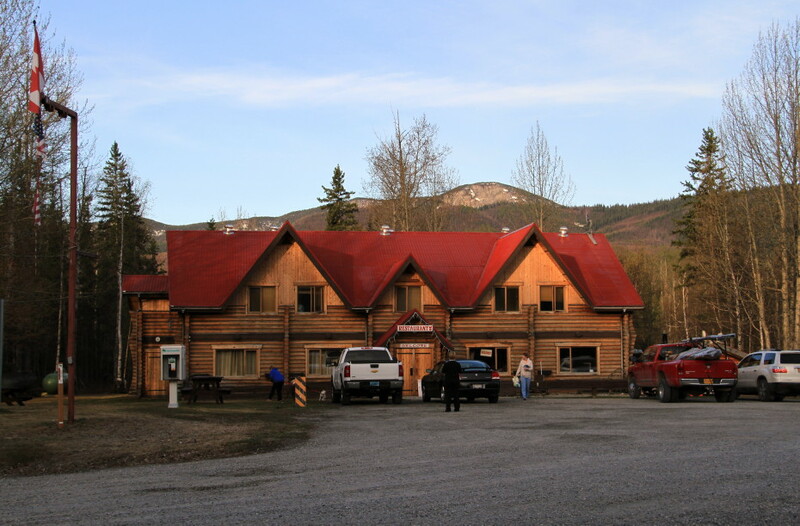 I is a great location for folks who also want to stay at the lodge and play, fish or boat. Plus; they have gas!... I would seriously consider coming back here for an extended stay in the future and bring Mrs Silverspurs. It's a beautiful place and nice facility. Any time you go anywhere in this country, be sure to take your bear spray with you, even if you are only going a short distance. I carry it everywhere I go up here. My parents were doing an Alaska trip back in 1997 and happened to be camped at Liard HS when the following event occured... Carry that bear spray every where!! I had a good soak in the HS and while hiking back to the tent realized I was famished. It was too late to get out my stove and cook something in camp, so I walked over to the Private Lodge which is next to the Overflow camping to see if they were still serving. Luckily I was able to order dinner just before they closed. I had a very nice conversation with the "First Nations" ladies working there and learned a lot about their culture and the history of the area. Wild life seen today; caribou, black bear, buffalo and deer. drumdog, HBaloha, Rapturee2 and 17 others like this. I am very much enjoying your RR. Thank you for taking the time to post your thoughts on your ride. Rapturee2, Billy52 and silverspurs like this. My wife and I had breakfast at Double G and he was a very grumpy guy. 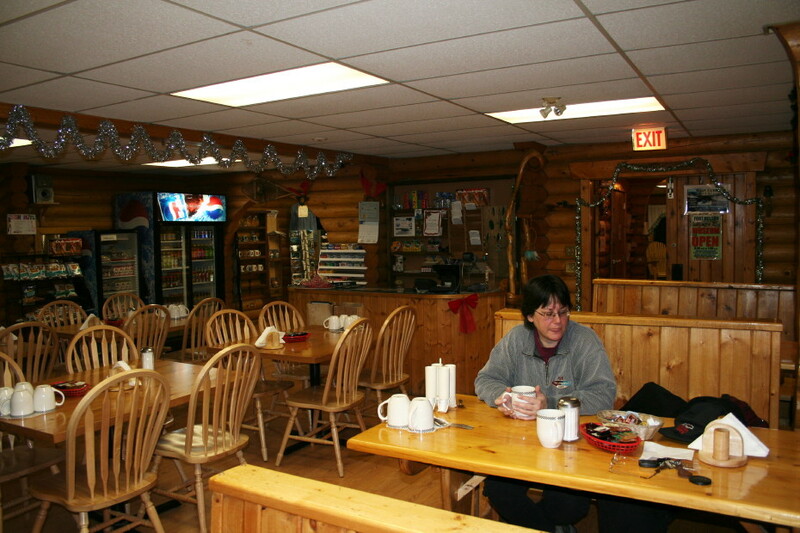 But it is supposed to be the best breakfast on the Alaska highway. It was good. It was such a dump, there is no way we would have eaten there if not so highly recommended. I remember telling my wife that you would have to be desperate to fuel up at this dump. Phoenix101 and silverspurs like this. Not too long ago I talked to a guy who was installing new fountain drink equipment at a pizza and sandwich restaurant. I asked him how frequent the machines got cleaned in most businesses. Rarely, he replied. The ice can be especially contaminated. He further elaborated that he personally doesn't drink from them in his travels. Animal Instinct, EZMoney, wadethewanderer and 1 other person like this. that's bad news for me!... on hot summer rides, I like to stop everytime I fill up and take a few minutes, get a fountain drink with lots of ice and chill!... I haven't died from doing that yet, so I'll probably keep doing it!... but that sure makes you wonder about many of the places we stop at and just how nasty stuff might be that we are ingesting... good thing our guts are tough... it's amazing how much we eat that's full of bacteria that doesn't harm us! Gordon and silverspurs like this. Good advice!... The gas at Northern Rockies Lodge was expensive... but they also had two very cute young ladies working the reception desk that were easy enough on the eyes that I didn't mind paying more!! Rapturee2, Folly1 and Bigbob1 like this. Rapturee2, Comrade Art, EZMoney and 6 others like this. Rapturee2 and silverspurs like this. silverspurs and Phoenix101 like this. Following along here. Thanks for taking us along in your adventures! Enjoying it! Plus, I'm reading your posts in Sam Elliot's voice from the Big Lebowski. Billy52 and silverspurs like this.